Best surgical video award in the National meeting of Indian Association of Pediatric Surgeons atOoty, 2014for Robotic TUU with ureteric reimplantation and augmentation cystoplasty. Best video in Karl-Storz award video section in the National meeting of Pediatric Endoscopic Surgeons of India at Jaipur, 2015for a series on Robotic Augmentation Cystoplasty. British Council Specialist Clinical fellowship in Pediatric urology at Great Ormond Street Hospital for Children 2001. Ethicon teachers travelling fellowship of Indian Association of Pediatric Surgeons for outstanding contribution to Pediatric surgery in India 1999. Guy Baines Award and Registrars medal for the best Registrar paper presented at the British Association of Urological Surgeons meeting 1996. Royal College of Surgeons of England sponsored training in Pediatricurology and surgery at Birmingham Childrens Hospital 1995-1996. Award of college colours for the year 1987. Col B D Prathapa Rao Gold medal for standing First in medicine in Armed Forces Medical College and Pune University, in 1987. Rangnaikamma silver shield for standing First in Medicine, Surgery&Gynaecology in university MBBS examination 1987. Ashok S Patel Bronze medal for standing second in Pharmacology 1985. Indian council for medical research (ICMR) Junior research fellowship 1985. Dr Sujit Chowdhary is a Senior consultant in Pediatric Urology and Pediatric Surgery at Indraprastha Apollo hospital in New Delhi since 2005. Since then , he has gone on to establish one of Indias busiest and outstanding pediatric surgical units in India with over 95% survival in newborn surgery, minimally invasive surgery,robotic surgery and subspeciality of Pediatric Urology. This unit has been awarded the best team prize successively by Indian Association of Pediatric Surgeons in 2014,2015. 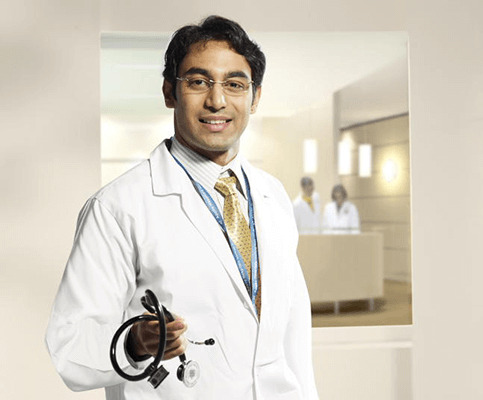 He is a graduate of Armed Forces Medical College with Presidents Gold medal , acquired surgical training at Chandigarh,Birmingham and London .During his training years , he was the recipient of Guy Baines medal of the British Association of Urological Surgeons .He was elected as a Fellow to Royal College of Surgeons of Edinburgh and England in 1995 and American College of Surgeons in 2000 and invited to be a clinical tutor and examiner for the college in 2005 . He has published over 90 peer reviewed papers with over 350 citations, several international and national guest lectures . He is an editorial reviewer for several lead indian journals ,British Medical Journal , and journals of American Academy of Pediatrics and American Association of Pediatric Surgeons. He is also on the editorial board of the J of Pediatric Urology and South Asian representative of International Childrens Continence Society . Clinical Pediatric Urology Kelalis,KingDunitz, London. Endoscopic Surgery in Children Bax,Yeung Springer, Amsterdam. Intercollegiate examiner for the Royal College of Surgeons of England,Edinburgh,Glasgow and Ireland. International Childrens Continence Society, IAP, NNF, IAPS, ASI,ISPEN.